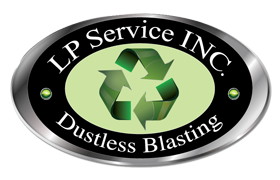 LP Dustless Blasting has all the equipment needed to remove paint, powder coatings, grease, dried glue, caulking, corrosion, rust and weather build-up. But rest assured our service won’t cause any damage to industrial tanks, railings, concrete floors, or any other surface. And because we use water, our equipment doesn’t create any heat or cause any warping – and we’re significantly faster than other techniques. In addition, our equipment prevents metal from sparking and the formation of dust blooms which means we won’t disturb any other activity on the premises. This is particularly important for industrial blasting where it’s critical to create a safe environment for everyone.